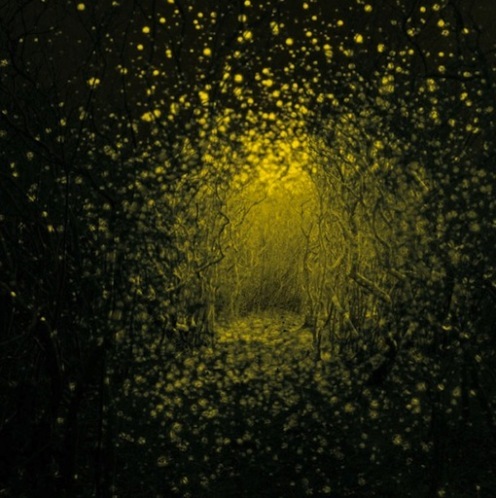 The new, highly anticipated Antlers record, “Burst Apart,” (the follow-up to their masterpiece “Hospice”) is set to be released on May 9th digitally on French Kiss Records. Check out their great new song, Every Night My Teeth Are Falling Out, below and then go over to their site and pre-order Burst Apart here. And then check out (courtesy of Soundcloud) another interesting (somewhat tangential) Antlers song (Parenthesis) below. If it’s even close to Hospice, Burst Apart could very well be 2011 Album of the Year. Time will tell. The night after we caught their phenomenal show at the Fox Theater in Pomona (more on that very soon), Bright Eyes nailed their song Beginner’s Mind on The Tonight Show as you can see below. At Pomona, bandleader Conor Oberst introduced this song by encouraging everyone to maintain their individuality in this modern world in which technology (iPads, iPhones, Tweets, etc.) can serve to entrap that individuality rather than enhance it. Listen in and up. PJ Harvey and band performed the single off her phenomenal new record, “Let England Shake,” on Conan two nights ago. Check out The Last Living Rose below. Pardon the vain opening, but thereafter it’s 2-1/2 minutes of billowing bliss from Ms. Harvey. We particularly like the guitar-work on the right later in the song and, of course, Ms. Harvey’s all-white cut-cardboard and feathers get-up. Bear with the Pad PR for 30-seconds, and then enjoy. If you can’t take the Pad in the first version, then scroll down to the lesser-quality YouTube version and get to it. We’ve been scrambling on all fronts in this season, but managed to escape to Soho for some musical healing in the last week or so. As usual, there have been highs and lows at the shows we’ve attended. 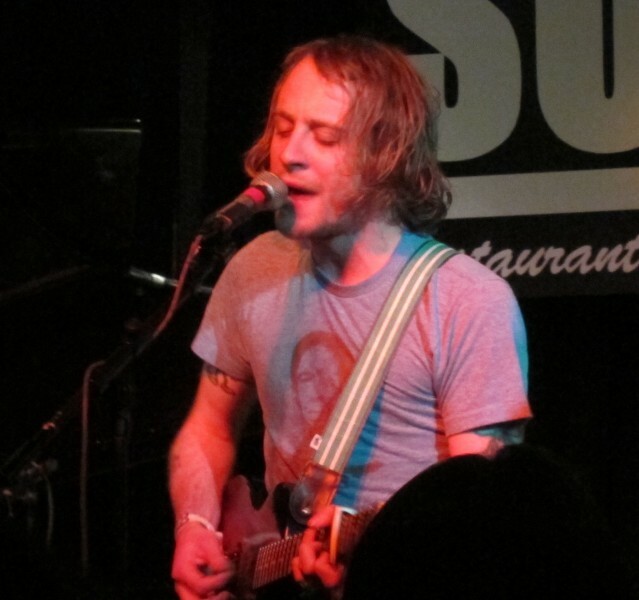 The clear high of all the performers was John McCauley (above) from the great band, Deer Tick. McCauley salvaged a shambolic evening that began with the news that the mighty triumvirate, Middle Brother (consisting of the lead singers from Deer Tick, Delta Spirit, and Dawes, and backed by the great remaining Dawes members), had been reduced to one Tick (McCauley), one Spirit (Delta Spirit leader, Matthew Vasquez) and one Corndawg. It seems the Dawes guys had received an offer they couldn’t refuse: backing Robbie Robertson on the Letterman Show. We can’t argue with the allure, but having seen the result (Robertson all pancaked-up with a fresh dye-job ‘do and singing pedestrian, Clapton-induced blues tripe), we’re not sure the effect for Dawes was a net positive. But we digress. After a hilarious opening solo set by Middle Brother member, Jonny Corndawg (from Virginia), McCauley came out with his ever-out-of-tune electric Epiphone, and against all odds delivered great goods. With gritty voice, focus and determination, he won the Soho crowd over with his fine songs, fervent vocals and fitting guitar accompaniment. The highlight of the night was the requested-song, 20 Miles (one of the best songs released in the last year). This song of undeterred love was even more affecting done solo by McCauley. Unfortunately, McCauley’s salient set was followed by Delta Spirit’s Matthew Vasquez. Vasquez came out and briefly wowed the crowd with solo-keyboard covers of Pink Floyd (standard at Delta Spirit shows) and Tom Waits songs. And then the train-wreck ensued. The crowd was next treated to a rambling, intermittently-screaming, between-song-snippets narrative of what can only be described as Vasquez’s Sordid Years (drugs, rock n’ roll, you know the drill). Whether Vasquez was angry with the ridiculously-talkative crowd, or (as was suggested) has been affected by his recent marriage (may we recommend annulment if that’s the case?) or however you want to excuse it, this was foment and bombast at it’s worst. And we’ve got lives. So we left. Likely our last Delta Spirit show. 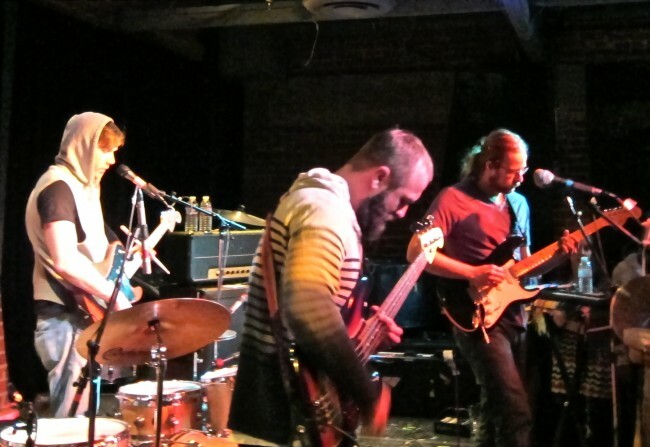 A couple nights later, we were treated to a madcap, maddening set from Akron/Family who are touring behind their new album, “S/T II:The Cosmic Birth and Journey of Shinju TNT.” The new album title in many ways says it all about this band. A/F is a bi-coastal band (NYC and Portland, where else?) known for its eclectic freak-and-funk, folk-prog attack. Make no mistake, these lads are phenomenally gifted musicians, singers and songwriters, and they played with energy and aplomb at Soho. They delivered a ravishing, driving version of River (listen to the song below) and then whipsawed throughout their two-hour set between folk-songs, funk rave-ups, jazz motifs, acappella transitions, prog-preambles and jam-band drivers, ultimately ending their set with their new funk-freak anthem, Silly Bears (listen below). The crowd ate it up and were sated by sets-end (around 1 am). There’s no denying the musicality of Akron/Family. We wonder, though, how this band will make its way in the world long-term. They are straddling many genres and doing it well, but we wonder how they will build and progress from here if they continue to dabble in and attempt to fuse all these genres without a more focused attack. As you will hear, it takes energy and phenomenal flexibility in an audience to roll from the three-part harmony one moment into a three-part, discordant funk/prog melange in the next. We consider ourselves pretty flexible and open to all styles and mixes, but the constant pivot, veer and zigzag is difficult even for us. Time will tell for these talented, affable lads, but we wish them well. Opening for A/F was the instrumental jam-band-ish band, Delicate Steve. The band had some interesting moments, but ultimately begged the age-old question: Can a band be great with a tank-top wearing leader? OK, we’ll give you Marley and Jimmy Cliff (it’s flippin’ hot and humid in Jam-Down! ), but other than that?? Nah, we haven’t seen it either. My Morning Jacket are set to release their new album, “Circuital,” near-term and have just released the album’s title track. Check it out below, download it yourself via the link below the song, and go over to the band’s site to pre-order the new album. 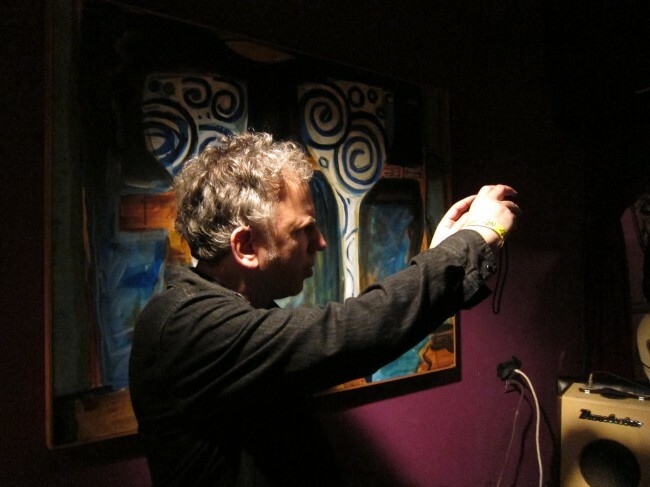 Throughout instruments drop in and out as if Lee “Scratch” Perry were at the production helm. On first listen, you may be briefly nonplussed. But after a few listens (we’re on our 10th right now) it all adds up and you are left stunned again. 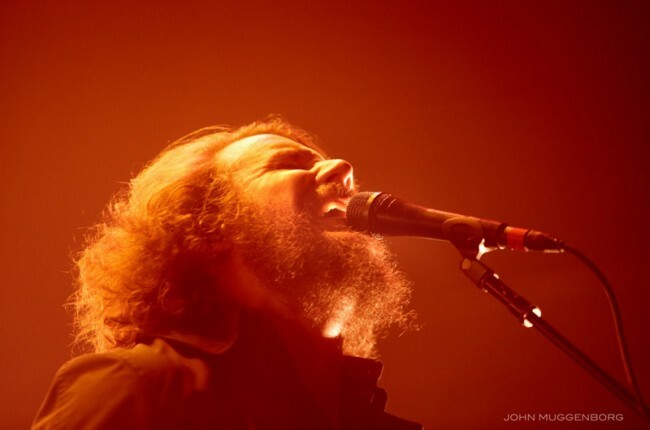 And a good portion of the stun is attributable to Jim James’ other-worldly, passionista vocals. Chapeaux MMJ! We note that there’s still an open date (June 23rd) on the band’s tour calendar between Los Angeles and Oakland, and hope that our mighty Santa Barbara Bowl will land them here on that date for what could very well be the show of the year at that hallowed ground. We confess to being infatuated with artists’ covers of others’ songs. And sometimes when you take the best artists from two dissimilar genres, magic can truly ensue. Check out Gillian’s and David’s folk-ish cover of Radiohead’s great rock song, Black Star, in which Welch and Rawlings take a great song and make it greater (though admittedly, in a dramatically different way). Welch seems to deliver the song with an acknowledgment that this world isn’t always a perfect place (and is oft-times imperfect). The truth sometimes hurts, but it’s good to know you’re in good company, and to move forward with eyes wide open. Check out a live video of that cover below. And below that is another version for the astronomically inclined. 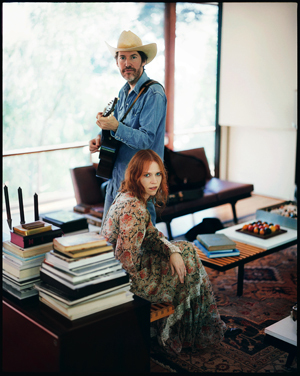 And then listen in to a stunningly rendered cover by David Rawlings Machine (with Welch) of Bright Eye’s Method Acting that segues into Neil Young’s Cortez the Killer from a Daytrotter session that you can listen to and/or download here. We know it unlikely, but if you aren’t familiar with Daytrotter, then you are missing some great music and should check it out frequently here. Daytrotter is that fine outfit that each day brings in artists, records their sessions, adds some frequently well-done illustrations and narrative of the performers and their songs, and then makes all of it available to the general public for streaming/download. Very well done. 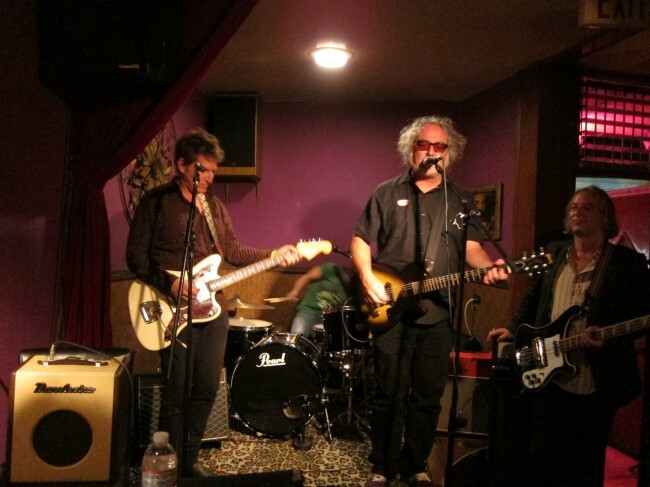 The Baseball Project (Steve Wynn, Scott McCaughey, Linda Pitmon and Peter Buck) came to Goleta on April Fool’s Day, but there were no fools at the Mercury Lounge. All the fools were elsewhere, and missed a great evening of rock n’ roll. The band knocked the proverbial cover off of the ole ball last Friday in support of their new record, “Volume 2: High and Inside.” The combination of these three fresh fellows and drummer queen, with the homey surroundings of the Mercury Lounge was a phenomenally winning rotation. Well played Club Mercy; well played. We arrived early and were practically welcomed personally by the band members, all of whom were ultra pleasant and approachable. They obviously enjoy meeting and hanging with their ardent fans and were open to all who cared to chat. It was a very refreshing scene absent of any prima donnas (or dons). Make no mistake, this is not dramatically innovative music. 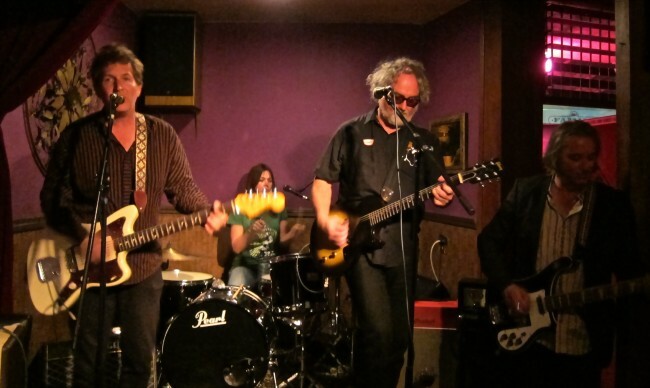 But as they have shown since their first record, “Volume One: Frozen Ropes and Dying Quails,” they write great melodies and bridges aplenty, and the compositions were delivered with verve at the Mercury. Put simply, the band rocked the Merc hard. Wynn (Dream Syndicate, Dusty and Danny, Minus 3), McCaughey (Young Fresh Fellows, Minus 5), Pitmon (Golden Smog, Miracle 3) and Buck (some obscure band I can’t recall) play straight-ahead rock n’ roll, with all of the songs telling touching stories of various players in the game of baseball (including the athletes). They obviously love the sport and have interesting and well-wrought vantages on those that they cover, including Bill Buckner, Tim Lincecum (the Freak), Curt Flood, Willie Mays, Sandy Koufax, Roger Clemens, and Mark McGwire, amongst others. And all four are great instrumentalists/singers who play well with and off of each other. Wynn and McCaughey delivered the goods on guitar throughout and Buck held down the bottom end while leaning against a post most of the evening, checking out the audience and looking over to admire/visually-cue the other members. Robert Lloyd (not Richard Lloyd from the band Television, the band pointed out and proferred a few of that fine band’s licks) joined at the Mercury Lounge on keyboards and added some nice touches. But even he was so taken by the proceedings that he had to stop and take some photos. 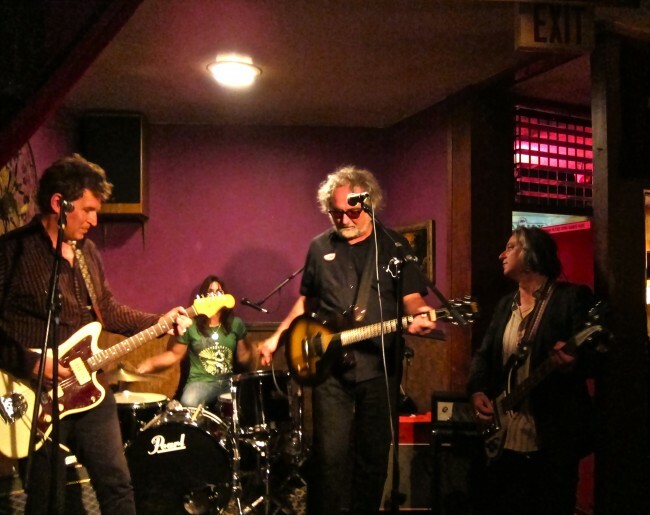 It was the first time we had seen Steve Wynn since catching his seminal and incendiary psych-rock band, Dream Syndicate (on their “Days of Wine and Roses” tour in a club in San Diego circa 1982). We hope it won’t be the last time he comes to Santa Barbara. 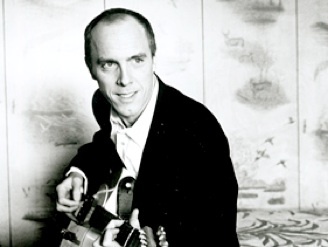 We have loved and highly recommend his solo records (more on those another time), including brand new album, “Northern Aggression” (with the Miracle 3). The next time this band or any of its constituents come to town, don’t be a fool (April or otherwise). Get a ticket and come on out to the ballgame. You can read Steve Wynn’s great Diary, including a couple of paragraphs about the Santa Barbara stop, here. For a taste of The Baseball Project, check out a couple videos below. 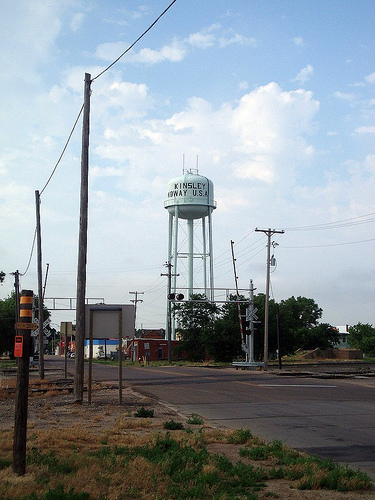 We’ve hung around a few small Kansas towns in our lives. Concordia. Beloit. Belleville (sans les Triplettes). Freedy Johnston came from Kinsley, Kansas. There seem to be but two kinds of kids in these types of towns: those that can’t imagine leaving their beloved ten-cent-towns, and those who crave kinetic trains or stolen cars to quickly carry them away. 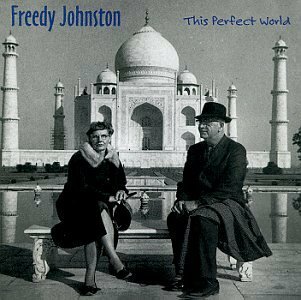 Freedy Johnston was that second kid, and the musical world is far better for it. Freedy left Kinsley and stepped on the Lawrence, Kansas* stone before Telecastering out to New York City in 1985. After rambling around the NYC boroughs for a bit, he signed to Bar/None and released a few tracks and then his first proper record in 1990. 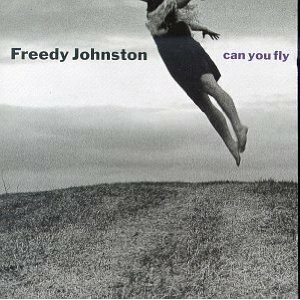 Freedy then dropped the songwriting bomb in 1992 with his ravishing record, “Can You Fly,” which received universal praise and was named one of the year’s best albums by The New York Times and other smarty-pants outfits. One of our heroes, Robert Christgau (then of the Village Voice), called it “a perfect album.” To this day the songs on Can You Fly hit us in the heart and head with their heartland headaches and hearty helpings of woe and growing pain. Freedy was so devoted to departure and the musical muse that he sold his family’s Kansas farm to finance the recording of Can You Fly, all of which is described and lamented on the opening song (Trying to Tell You I Don’t Know) and on several other songs on the album. As you can imagine, there was a tinge of guilt involved in the cavernous cost of pursuing success. After the bombshell of Can You Fly, Freedy was signed by Elektra Records and next released “This Perfect World” in 1994. This Perfect World was just that: perfect. This Perfect World was (and still is) praised as one of the best albums of all-time. 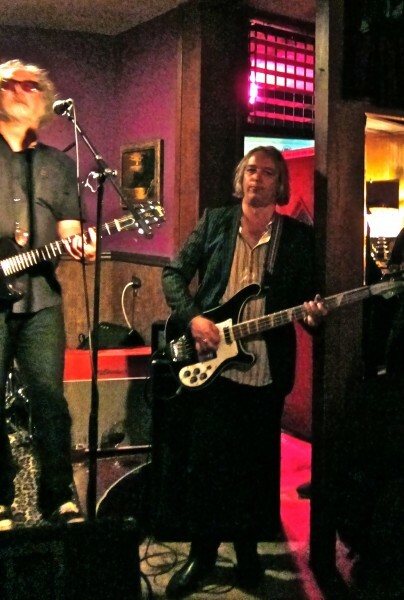 The album was produced by veteran Butch Vig, and included stints from great players such as Marshall Crenshaw, Marc Ribot, Kevin Salem, and Graham Maby. In conjunction with its release, Freedy was rewarded with a minor hit single with “Bad Reputation”* off of This Perfect World. After the hallowed heights of these two all-time records, Johnston’s output and career have roller-coastered over the years between the sublime and the ridiculous. He has released some great albums and songs over the years (most recently, last year’s critically-acclaimed “Rain On The City” album), and understandably enjoys a loyal fan following. Freedy’s masterful songs mediate musically between the raucous and the refined, with terse lyrical tales coated with carefully and concisely wrought character-studies. It’s a benevolent blend that has stood the test of time. Check out some of his songs below from his two best albums, and if you haven’t heard before, join with those that know and revere this great songwriter. Having spent scads of our early youth stamping tombstones in our grandfather’s monument shop, and having fallen for a few (Kansan and non-Kansan) lasses along the way, this song always takes us back and tears us asunder. In our humble opinion this is one of the best songs ever written. Freedy sings of a lost-love who has passed on (perhaps from the planet, which makes the repeated lines, “Her father stands in the open door, he’s waiting for her,” that much more poignant). And when that Telecaster roils across that lake from 1:59-2:20, it never fails to chill. One for the ages. We love the languid musical feel of Can You Fly and the magical realism of the lyrics. Who can figure the meaning? Is it a tornado vision, a fever dream, a prophet alighting? The cover photo speaks of a yearning to leave gravity’s pull. If it wasn’t so torpid, it might be a high-jumper’s perfect headphone psych-up. In Freedy’s mid-tempo hit rocker, Bad Reputation, we hear the artist’s honest self-assessment and a hope-beyond-hope that a mistreated lover might be foolish enough to take him back. This Perfect World can do no wrong in our musical songbook. 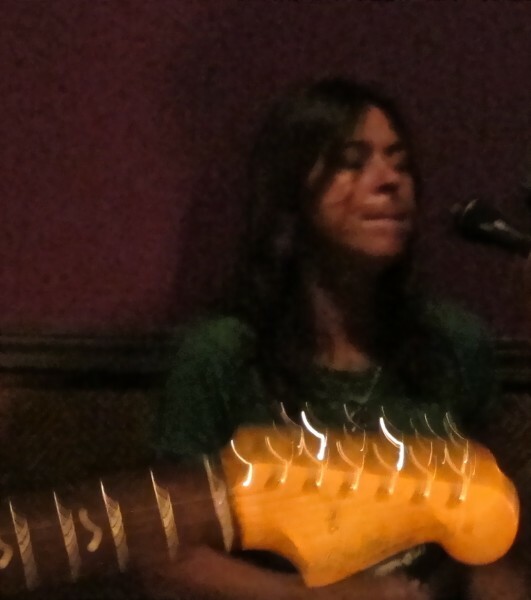 Musically, the acoustic guitar, electric jangle and cello are a perfect meld in support of Freedy’s expressive vocals. Lyrically, the song falls somewhere between Raymond Carver and Raymond Chandler, and in a scant 4:34 Freedy eloquently embodies a father speaking his last words to his daughter after the death (murder, suicide?) of her mother. It’s a harrowing tale with a clearly sarcastic title. Short story soundtrack and tour de force. It was also featured in the movie, Kingpin. Didn’t you tell me that? Gone Like the Water is Freedy’s early-career autobiography. The song is his most country-influenced, which frames his homesickness well. The harmonies are dulcet throughout, and the spare electric guitar adds just the right touches. Freedy is the Count of Covers, and nowhere is that better exhibited than on his cover of Jim Webb’s stellar song, Wichita Lineman (a huge hit for Glen Campbell back in the day). Glen’s version wasn’t bad, but we’ll take Freedy’s any day. The guitar makes it. *As an aside, at a cafe on our last stop in Lawrence, Kansas, we asked an obvious music-type about Freedy’s time spent in Lawrence, and he pointed across the street to an upstairs window and said that was where Freedy had lived for a while; he also alluded to Freedy being a difficult personality and causing some trouble in those parts (hence the “Bad Reputation”). A prickly musical personality? Who knew?